As the move towards greener transport becomes an ever more viable option, electric cars are proving increasingly popular, with more than 145,000 now on UK roads. However, as with any new technology, these cars have their limitations – the biggest being that currently, the average electric car can only travel up to 100 miles on a single charge and takes several hours to charge up again. 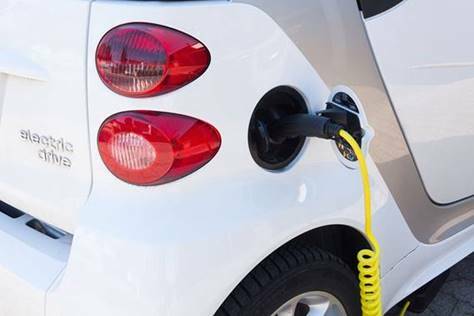 Furthermore, as demand increases, it’s likely that there will come a time where the need for chargers on public roads will outweigh what can be supplied. As a result, scientists have been looking for ways to tackle this issue and may have found the solution in the form of electric roads. So how does the technology work, and what are the pros and cons of these chargeable roads? Continue reading to find out! The technology behind electric roads, otherwise known as inductive charging, is pretty simple and follows the same principles used to wirelessly charge mobile phones and other small devices. A live coil is buried under the road. When a car, equipped with another coil, passes over it, a current is induced and directed into the car’s battery – keeping it topped up. This technology isn’t that different to the design of a Scalextric track; except when a car overtakes or stops, the current is disconnected. Testing has already taken place in several countries, including Israel and France. Last year, leaders of the project, Qualcomm, successfully built a 100-meter test track in Paris and most recently, Sweden has just opened the world’s first electrified road for a two year trial. It’s hoped that with more and more countries signing up to test the new technology, electrified roads could be built worldwide and ready for use within the next decade. The advantages of this technology are clear. If consumers can charge their cars while driving, there will no longer be the issue of only being able to complete short journeys. In theory, these cars will be able to run indefinitely. This opens up the market to even more people, if not everyone. What’s more, this technology could also change the way we build electric cars. Charging vehicles on the go saves time, which could result in smaller and lighter batteries. This would also help bring down the costs of making electric cars, which could be passed on to the consumer. The technology is also said to be surprisingly cost-effective. At €1m per kilometre, electrified-roads are 50 times cheaper to build than tram lines. Overall, electrified-road transport could cut fossil fuel emissions by 80-90%. When compared with diesel, electricity can be cleaner, quieter and less expensive. However, there are several logistical hurdles surrounding electric roads. For the systems to be installed, this would require engineers to dig up roads; which would be hugely disruptive and time consuming. Leading on from this, it’s unclear how useful the technology would actually be. While there’s no doubt that public and freight transport would benefit, not many drivers realistically drive more than 100 miles on a regular basis. Nowadays, people primarily use their cars for smaller trips i.e. to the shops or the school run. There is therefore no need for them to charge their cars as they go. Overall, the evidence for electric roads is promising. However, as electric cars continue to develop and consumers use their cars less and less for longer journeys, it’s questionable how far the technology will go. In light of this, scientists are also looking at ways in which they can develop wireless chargers; which would have a much wider application and allow every day drivers to benefit too.